Not all people are familiar with forex trading. In fact, most people think that when you talk about forex trading, it has something to do with stocks or bonds. But forex trading is different from stocks or bonds. It involves the trading of currency pairs. Currencies are traded in pairs, and you can't find a particular currency without a pair. The major currencies being traded are chosen above the rest because they are stable and have a greater value than other foreign currencies. Every time a new comer arrives in the market, the very first ones to take notice of them are what you call frauds. That is why, if you're new in forex trading, you need to take some advice. It doesn’t hurt to ask for advice from the ones who are already engaged in forex trading. In fact, you can make use of their advice for your own good, and even to your advantage. Since forex trading is globally available, it is not surprising if there are frauds that are able to infiltrate the financial market. To safeguard people from these frauds, they must be made aware of these growing fact, so that they will be able to protect their trading career. The opportunities that forex trading provides for different individuals, firms, and organizations is growing rapidly every year. And accompanying this growth is the widespread growth of different scams related with forex trading. But you should not worry because there are a lot of legitimate companies or firms that can help you in forex trading. 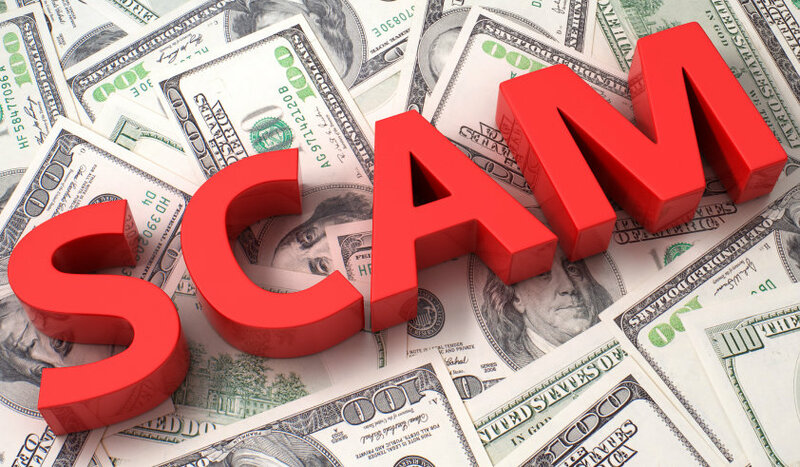 The best thing to do is to find these legitimate companies to stay away from fraudulent ones. However, most new traders fall prey to these scammers because of their savory offers. A piece of advice: stay away from companies or firms which advertise high profits for minimal risks. In today's financial market, if you want to earn high profits, then you are likely subjected to high risks as well. These things always go together. Always stay on the safe side. If you're looking for a forex trading broker, and of course, each broker is part of a certain company, make sure that you select a government registered company. In signing any contract with them, double check if they are registered or certified brokers. This is a good step to undertake in order to prevent any misfortune that you might encounter in the future. The job of reducing the risk is entirely yours, not that of the broker; so if the company offers or promises little risks, guaranteed profits, and the like, that is a sure sign that they are there to make a fool out of you. Professional trader or not, a little use of the common sense can go a long way. Before doing any forex trade, do your homework. Research all the necessary details about trading. Ever heard of inter-bank market? Stay away from companies which lure you into trading in the inter-bank market because the currency transactions are negotiated in a wobbly network of large companies and financial institutions. If a certain company does not disclose any information about their background, that should serve as a red flag. It means that you should continue doing transactions with them. Nor is it advisable to transfer/send cash through the mail or the internet. Practice caution in everything you do, and you'll be more than sure that you are always safe. Fraudelent companies often solicit services and advertise soaring pressure tactics to attract you in participating or joining their services. Offshore companies which guarantees no risk and return of profit is a big no. Always be skeptical and don’t jump in to any instant offer that comes your way. You can decide for yourself. After all these pieces of advice, it will still depend entirely on you whether you will apply it or not. You are the one who will be subject to fraudulent individuals or companies. If you want to protect your forex trading career, carefully consider these things. With patience and a little diligence, you can expect for a successful forex trading career. These frauds which abound in the financial market will not succeed if only people are alert and skeptical. Click the link If you want to have Forex Learning Couse and start making money with real forex broker.